Not sure what this area is called (see the red highlight). 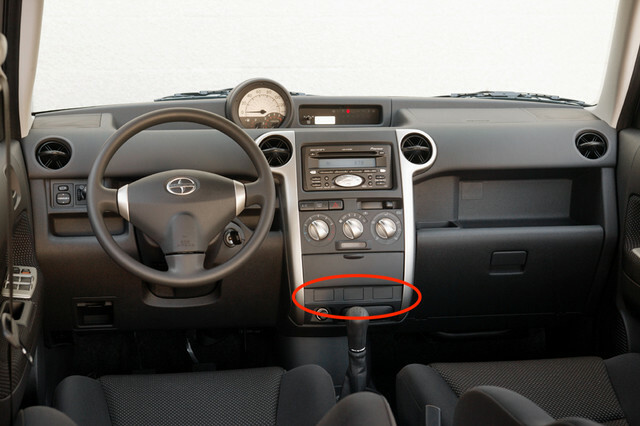 The first 2 areas (L to R) in mine are the Fog Light Switch and Scion Security. The third looks like the image. I've ordered a USB interface that will fit that area so it will be easily accessible. 1. Pop out the little panel. 2. Gain access to put it in. Interior buttons, knobs, and switches...what are they? ?